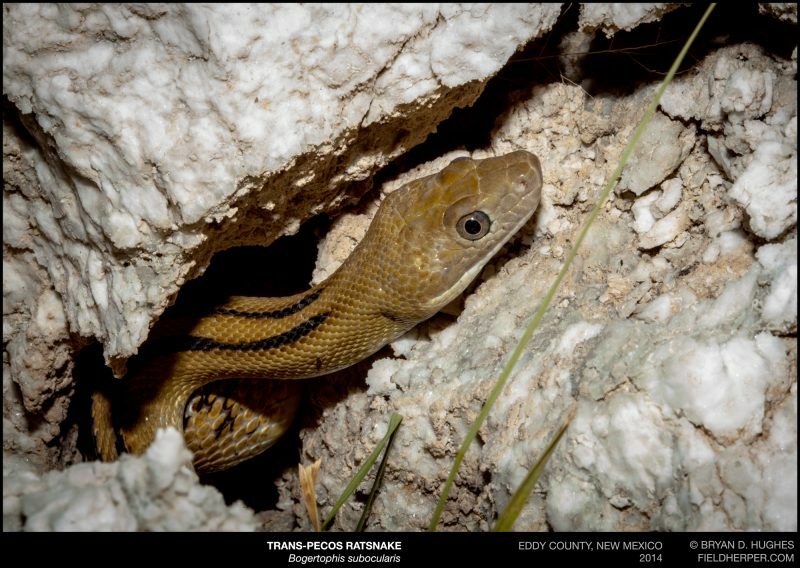 My parents moved to Carlsbad, New Mexico about 10 years ago, and like any terrible child, I spent most of my visit time out there roaming the surrounding hills looking for rattlesnakes. 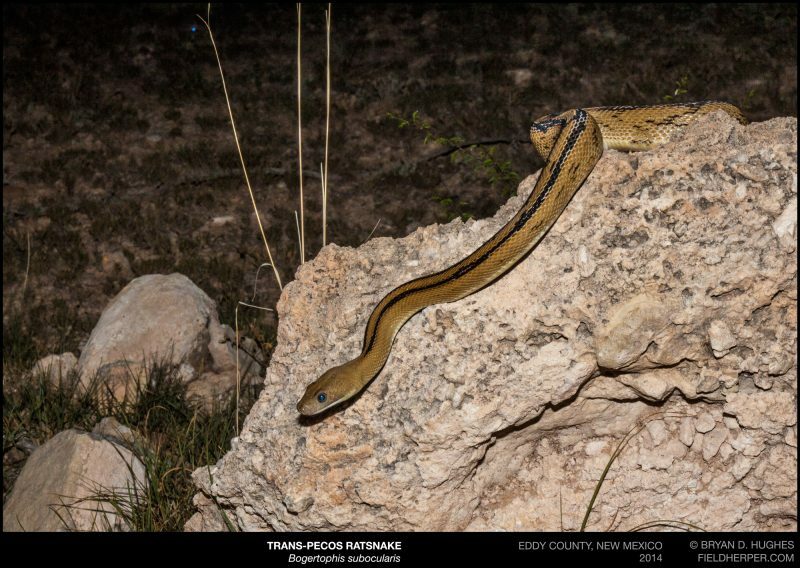 Near the top of that list of sights to see was the Trans-Pecos ratsnake (or ‘suboc’ as they’re often called in the pet trade, short for Bogertophis subocularis). I’d seen quite a few in Texas by this point, but I was still very excited. This large suboc was out crawling across a relatively flat portion of the limestone grasslands near Sitting Bull Falls. I got some photos, and left him to go wherever he’s hidden for the last decade. This entry was posted on Saturday, December 17th, 2016 at 4:33 pm	and is filed under Personal, Snakes. You can follow any responses to this entry through the RSS 2.0 feed. You can leave a response, or trackback from your own site.